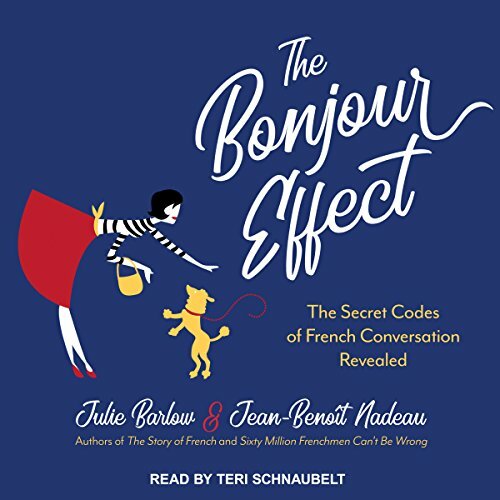 Showing results by author "Julie Barlow"
Jean-Benoît Nadeau and Julie Barlow spent a decade traveling back and forth to Paris as well as living there. Yet one important lesson never seemed to sink in: how to communicate comfortably with the French, even when you speak their language. In The Bonjour Effect, Jean-Benoît and Julie chronicle the lessons they learned after they returned to France to live, for a year, with their twin daughters. They offer up all the lessons they learned and explain the most important aspect of all: the French don't communicate, they converse.